In an effort to add more value to my clients, I bought a moving truck! 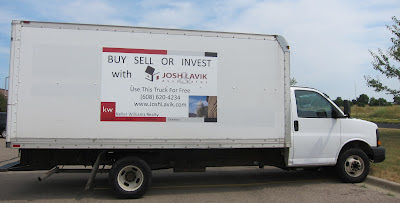 That's right, if you buy, sell, or invest using the services of Josh Lavik & Associates at Keller Williams Realty, then you can USE THIS TRUCK FOR FREE! One more great reason to choose Josh Lavik and his team as your real estate agent in the Madison area. We look forward to working with you.